Grilled Pork Neck Served With French Fries And Salad. Top View. Fotos, Retratos, Imágenes Y Fotografía De Archivo Libres De Derecho. Image 118519776. 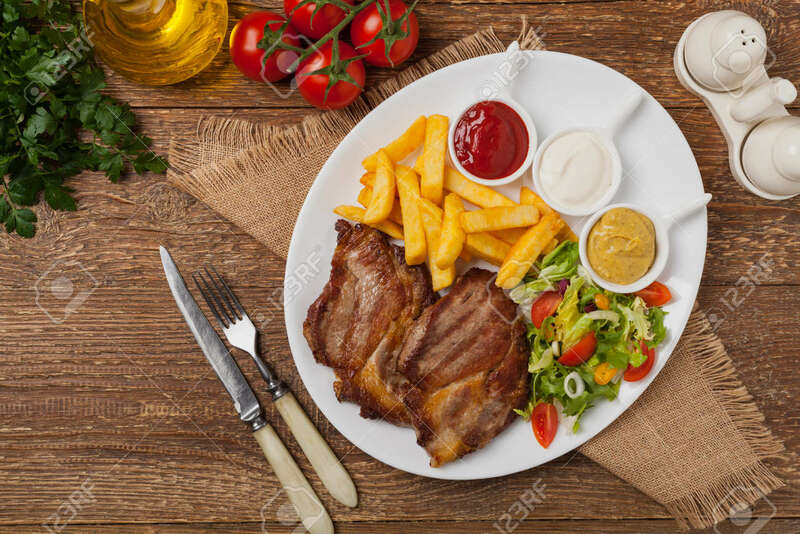 Foto de archivo - Grilled pork neck served with French fries and salad. Top view. Grilled pork neck served with French fries and salad. Top view.